We’d like to say a Big Thank-you to Grandad Paul for coming in to sort out our planters and scrub the paving stones for us (we didn’t suggest that he do this by-the-way!) before the Easter break. 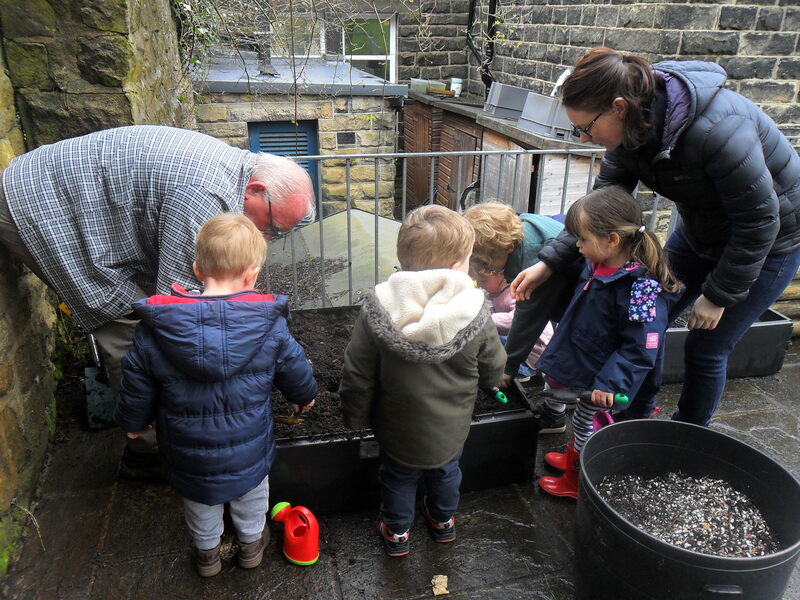 The children had fun planting broad beans with him and we now have lots of plans for lettuces, strawberries, sunflowers and sweet peas in the final term. 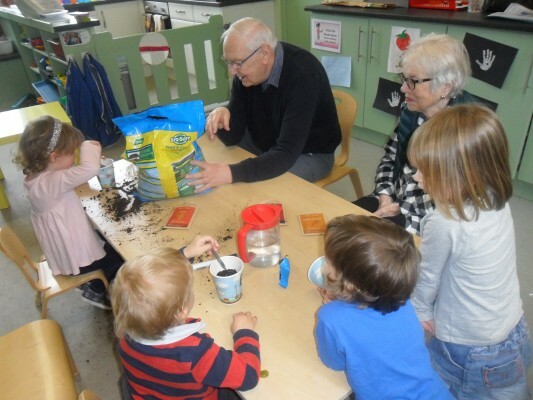 Thank-you also to Maggie’s grandparents for helping the children to plant some seeds in the free ‘sow & grow’ pots we received from Innocent Smoothies. 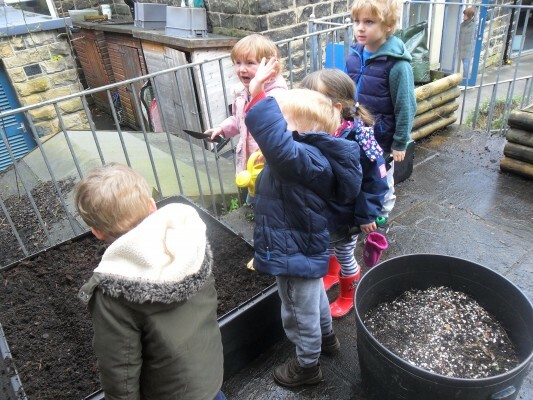 If anyone would like to help with our planting and gardening efforts this term, please send us an email. All help is gratefully received! 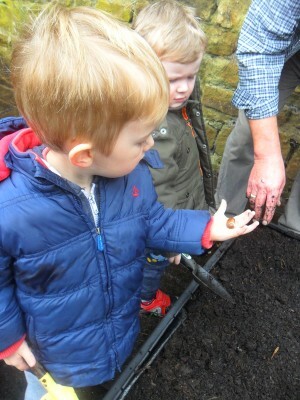 We had lots of eager gardeners ready to plant and water the beans! 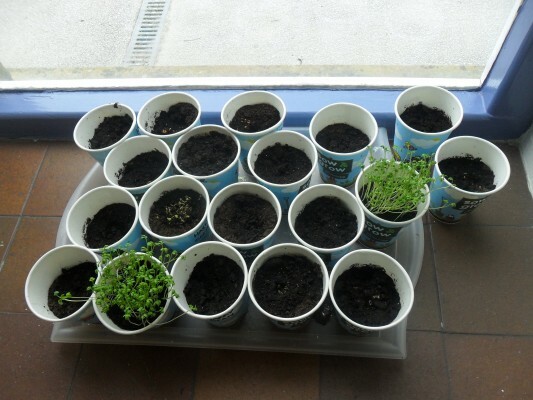 The cress is doing well!